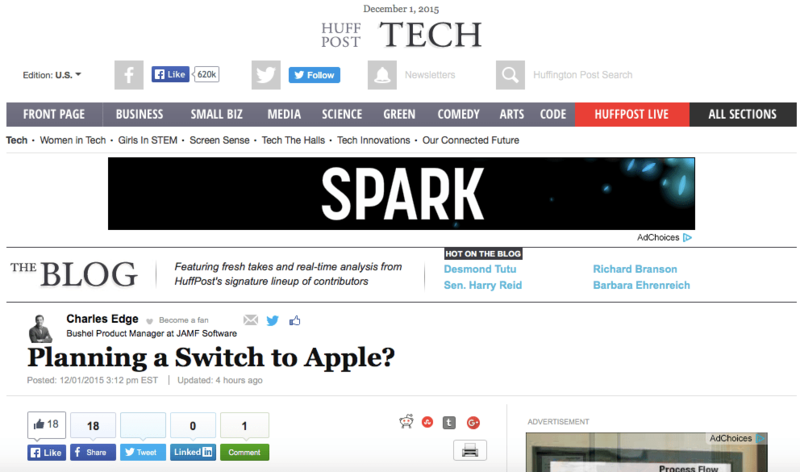 My latest Huffington Post piece is up. 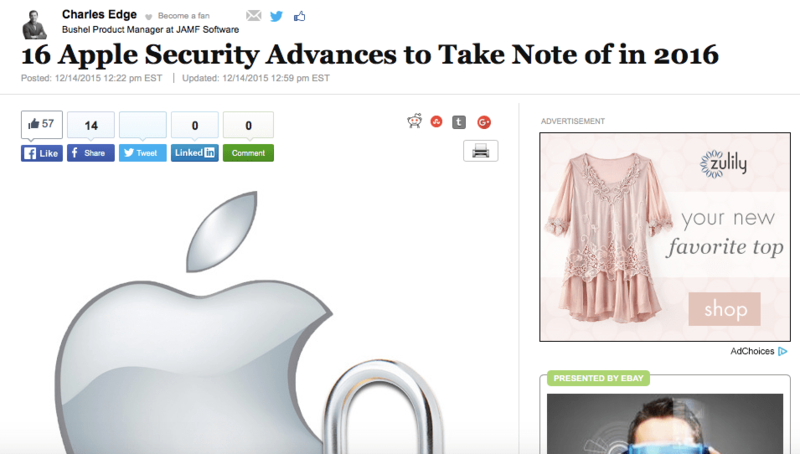 Read more on Apple’s Security Tech at: http://www.huffingtonpost.com/charles-edge/16-apple-security-advances-to-take-note-of-in-2016_b_8789456.html And if you’d like to know more in depth information about Apple security, check out my latest book on Apple Security in the Enterprise on Amazon! Bushel shipping a new feature this week call Blueprints. Blueprints are similar to groups, and allow you to assign different options in Bushel to different devices that have a blueprint assigned to them. This also allows you to define one device per blueprint and therefore have different options for different computers. Pretty cool on a few different fronts. And it provides a lot of flexibility for some really, really cool new features we’ve planned for the product. 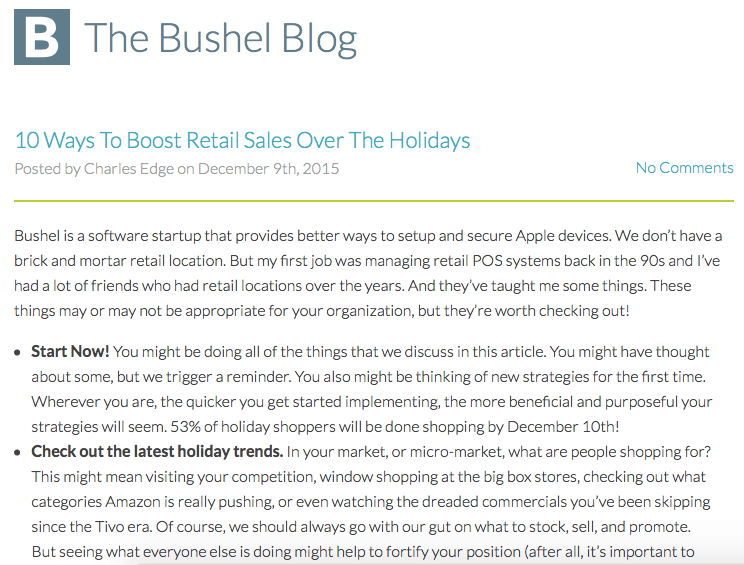 For more on this great new feature, check out this great article from the new Bushel Product Manager, Michael Devins. 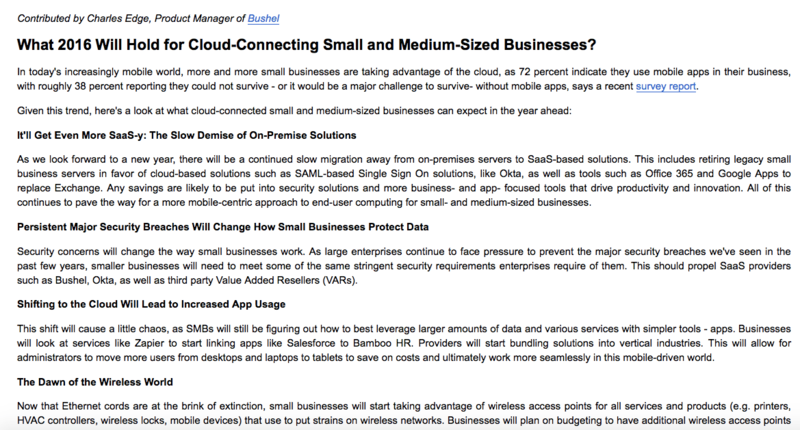 Another article up on a site. This one part of a series I’m doing for Office Ninjas, a nifty little site for people who wear a lot of hats in Small Business office environments. Access it here! I really enjoy supplementing the work I do on krypted with some of these types of articles. Look for more soon! I’ve been thinking a lot about the iPad Pro (which might be obvious to my readers). Sooooo, I wrote up a little article for CBS Pulse on the iPad Pro. 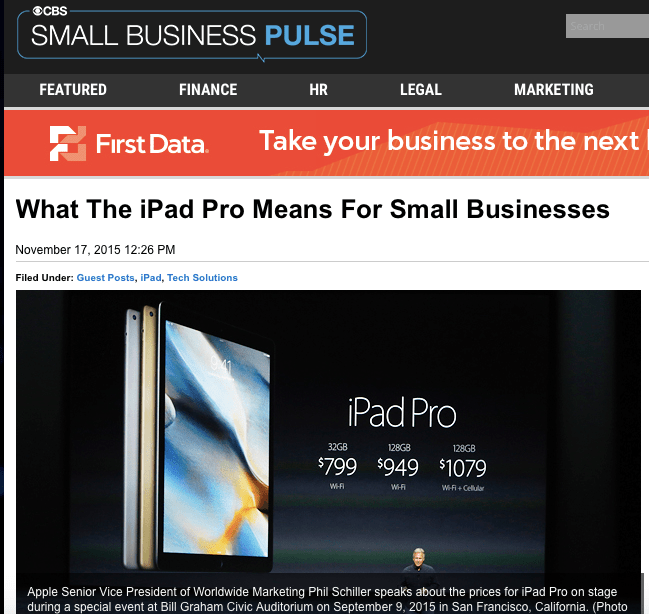 It’s available at http://cbspulse.com/2015/11/17/ipad-pro-means-businesses/. Hope you enjoy!